“We mustn’t forget the terror attacks that have taken place in Western Europe, and how — in the bigger EU countries — these are unfortunately now a fact of life,” said the minister, pointing to demographic change as the cause. 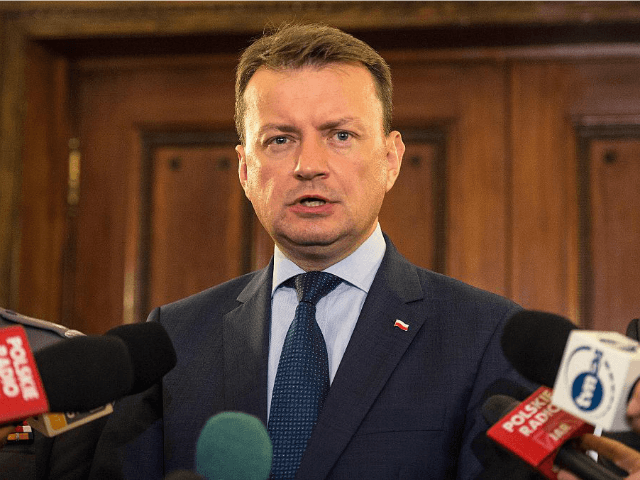 The EU quota scheme moving migrants from Italy and Greece — where asylum seekers from the third world arrive in droves via boat – to other nations in the bloc only exacerbates the continent’s problems with illegal migration according to Błaszczak. “I tell my counterparts in Western Europe that the relocation strategy only intensifies [illegal migration] because traffickers get even more custom when [would-be migrants] hear people delivered to Europe are being given refuge in EU nations other than Italy and Greece. “It also risks the lives of people who are trying to reach Europe [on boats],” he added. On Tuesday, Brussels set a June deadline for Poland and Hungary to start admitting migrants under the EU’s quota scheme. “I call on Poland and Hungary who have not relocated a single person… to start doing so right now,” EU Migration Commissioner Dimitris Avramopoulos told reporters. “If no action is taken by them before the next (Commission) report in June, the Commission will not hesitate to make use of its powers under the treaties and to open infringement procedures,” he said.